Elegant Themes - Should You Buy The Membership Plan? You are here: Home / WordPress / Elegant Themes – Should You Buy The Membership Plan? Elegant Themes – Should You Buy The Membership Plan? Elegant Themes is one of the most famous WordPress Themes packages which you can buy from the market. Here in this post, I am going to look if its really worth the price. 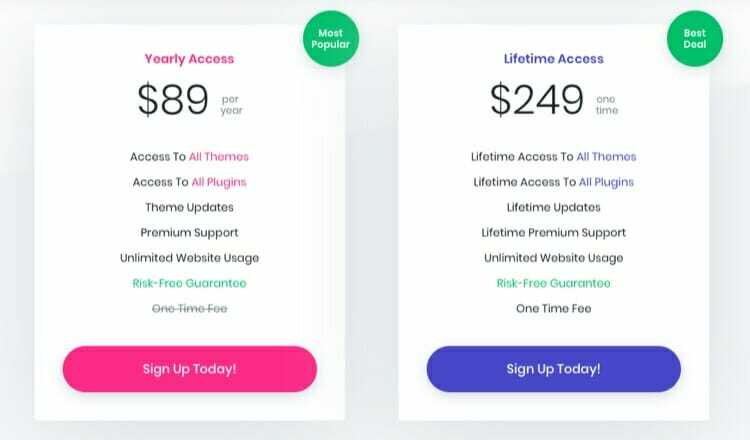 So if you are weighing whether you should buy it or not, read ahead to know the pros and cons of Elegant Themes Membership Plan. One of the best things about WordPress is the availability of so many themes and plugin. 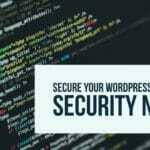 You can build any website with WordPress by the help of these themes and plugins. Elegant Themes is one of the premium packages for WordPress which gives you 87 premium WordPress Themes, 3 Premium WordPress Plugin, and a fully functional visual page builder. This should take care of the basic needs of any website, so you don’t need to go and buy other products. The only downside is that you can’t pick and choose. Everything comes in a single bundle, so you can either buy the whole package or leave it. We will talk about it later in the post, but first, let’s take a look at the themes and plugins which you are getting in the Elegant Themes premium bundle. Here are the things which are included in the Elegant Themes package. There are overall 87 WordPress themes in the Elegant Themes package but lately, their focus has been visual drag and drop page builder – Divi. Divi and Extra are two themes which are built on the visual page builder platform. Both come with a different design but with a complete visual page builder functionality and extensive customization capabilities. Also, both themes are responsive which means they look good on the desktop as well on Mobile. This is a big thing as Google is moving towards mobile first index, you need to make sure that your site looks good on Mobile. 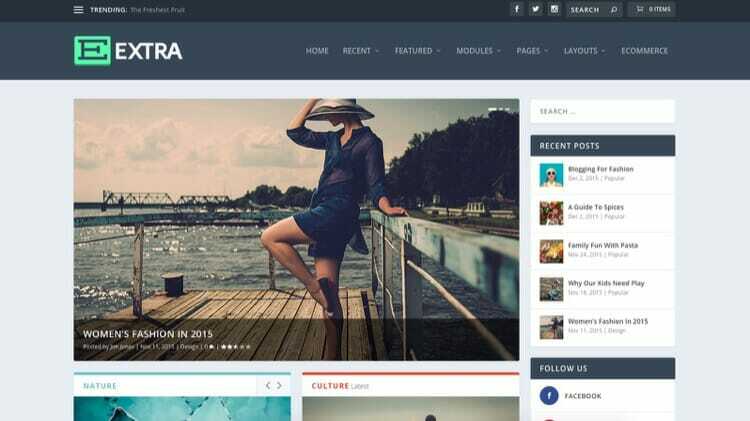 Extra has a magazine style front end which is highly customizable to create many different layouts. You can shuffle the design with plug and play modules to easily create the look you want. 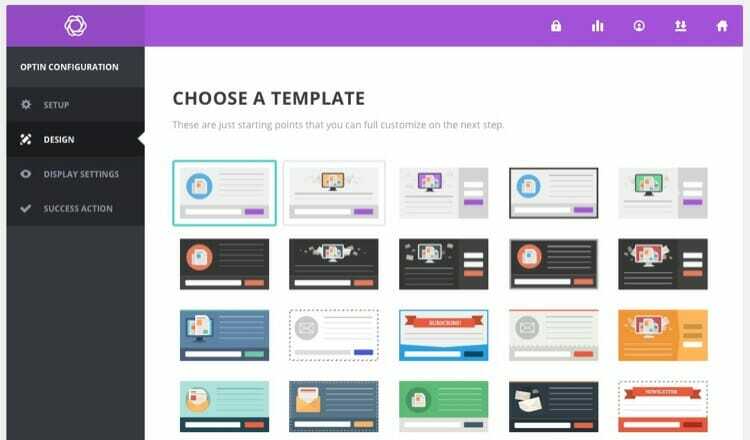 Divi takes its name from the visual builder itself and suited more for creating your own design. It comes with a basic design which can be altered with the help of page builder. If you want to build everything from scratch or want to use some premade templates, Divi is your best option. Both Divi and Extra come with extensive themes option and customization capabilities. You can customize each and every part of your site layout easily with the theme options and theme customizer. Here are some of the basic settings which you will get in these themes. General – Allows you to define your logo, favicon, site structure, color palette, Social Profile URL etc. Layout – Allows you to define the layout of the single page and post. SEO – Allows you to set the SEO options for your single post, pages, and index pages. ADS – Allows you to display a banner ad below your single post. Other Ad management can be done with the help of Widgets. Builder – Options to generate static CSS file or use the old method of generating CSS in the footer of each module. You also get a Theme Customizer and Module Customizer which allow you to modify every element of the theme. They have followed the WordPress Customizer route for this so you can preview every change on your site. You can also schedule the changes with the latest update of WordPress. Divi is built on the platform of Visual drag and drop page builder. It comes with a minimal design and a full-fledged visual builder which you can use to create stunning layouts. You don’t need to start from scratch and define all the elements. Divi comes with many awesome premade layouts which you can use to create your site. Just select the layout and update the elements according to your site structure. Currently, there are 28 premade layouts packs available with the visual builder and they keep adding new ones. You can also check the latest premade templates on this page. If you do not like the premade layouts, you can also define your own elements and layouts. This is one of the key aspects of Elegant Theme membership. Visual builder allows you to build the design you want with ease. It comes with over 46 different module like Maps, Buttons, Audio Player, Video Player, Blurbs etc. Each module can be customized further and tailored to the looks you want. There are many third-party plugins for Divi which enhance the functionality and make it easy to build sites. 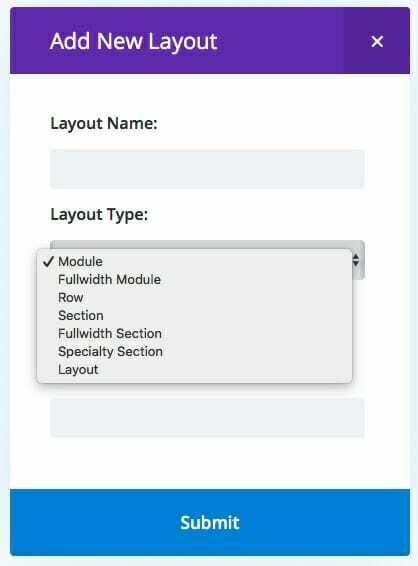 You can arrange the modules on your page and define the dividers and animations to create stunning layouts. Each module is responsive so you can make sure that the final product is responsive and looks good on Mobile. You can also test them for different width and arrange them correctly for each device. Though it sounds easy, you need to have a clear visibility to what you are going to design or use premade templates. Divi comes with a Divi Library where you can save your defined elements and layouts. 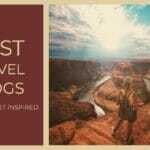 This library gives an easy way to reuse the existing layouts as you can import and export your layouts. Now, here layout doesn’t mean full page. You can define it section by section basis and later on combine all of them in a single page layout. So its a nice and easy way to create reusable designs which are very helpful in case you are a developer. 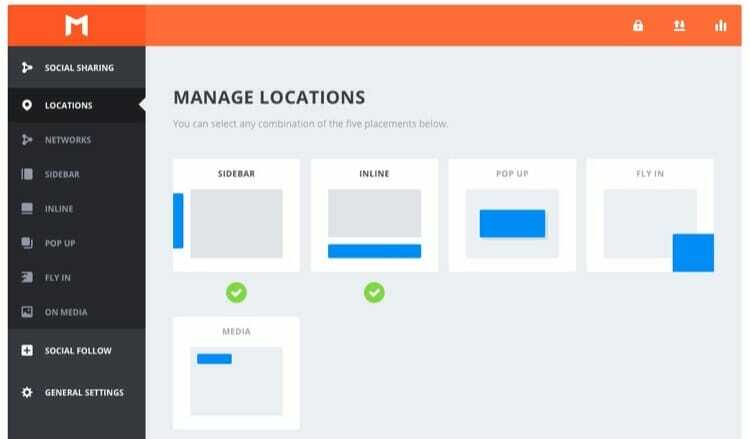 You can even export the existing layouts and import them on different sites to reuse the layout across all your sites. 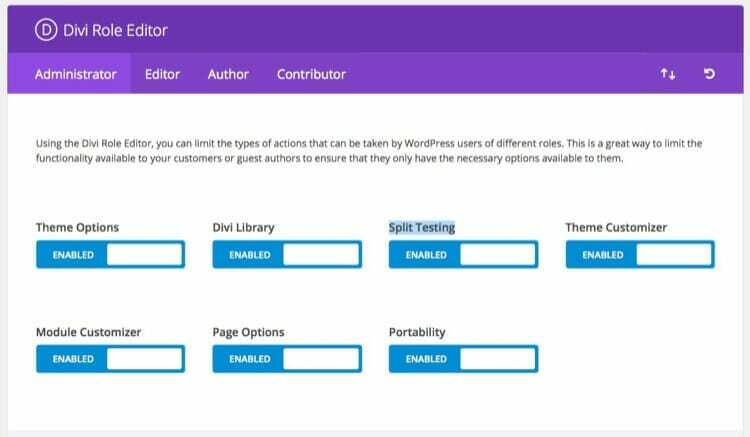 Divi also comes with a Role Editor and you can define the authority for each and every WordPress Role. You will have fine grain controls on each and every aspect of themes like module access, split testing, library access, theme options etc. You can also define the access to Builder Interface, Library, and Divi Settings tab also. Divi page builder uses shortcodes to build the page and once you remove it, you will have all those shortcodes on the page. You either need to remove the shortcodes or replace them to display the text correctly. You should keep this in mind while installing Divi. Use it only if you are planning for long-term as removing it will be a very painful process. If you already have a well-established site with a lot of content than its hard to convert the complete theme to Divi. This is where Divi Builder Plugin comes in handy. 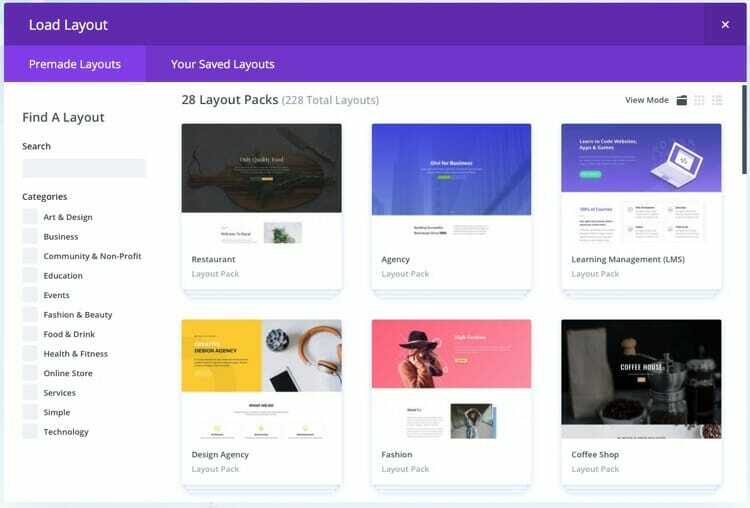 If you want to keep the same layout and still wants to use Divi for building your landing pages, you can install Divi Builder Plugin and get the complete Divi functionality for your site. 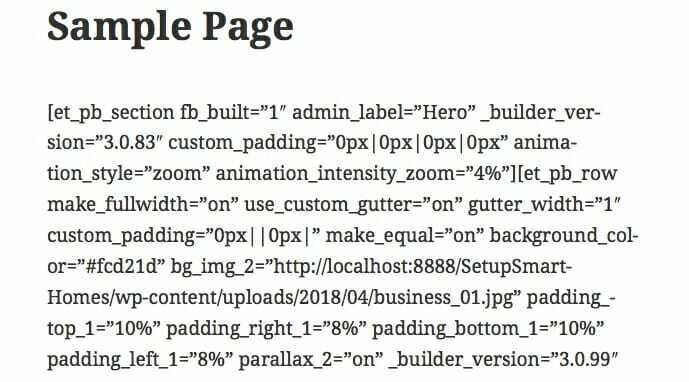 The only thing which you need to keep in mind that the page builder will now work inside the parent theme so it will use the page height and weight specified in the active theme. If you want to give Divi complete access, you can define a full-width blank page template. Use that template for the pages where you want to use Divi Builder Plugin. Elegant Themes also has around 85 other themes which are suitable for different sites. Each theme provides a different layout and uses the theme options panel to customize the site. They do not have as many customization options as Divi and Extra but you can still set up all your basic needs like Logo, Favicon, SEO, Navigation Menu etc. These themes are good for quick setup of any sites but I wouldn’t put too much focus on them. They are not promoted as much as Divi or Extra, which itself is an indication that they are not too much priority for the Elegant Themes. Also, each premade template pack for Divi is like a new theme. So you are getting additional 28 themes which can be used to setup your site easily. I would recommend to look for premade templates and use them instead of other themes. 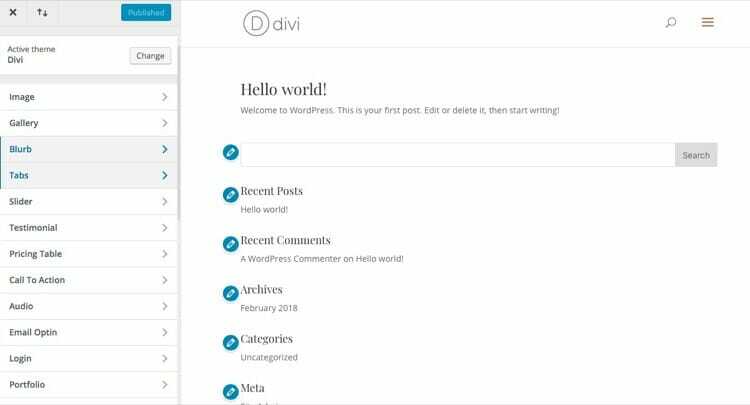 If you still want to use any of these themes, you can install it with Divi Builder Plugin. So that you will get the Divi functionality with the layout of your choice. Social networks are the key growth factor for any site these days. So every webmaster has to include social media sharing button or follow buttons to his site. Monarch takes care of that needs. It allows you to show responsive social media share buttons and social follow buttons on your site. You can customize the Social media share button to show above post, below post, on the side or floating button at the end of the post. So you have many options to place the buttons properly. You can also select specific triggers for floating or popup social media share buttons like after comment, the bottom of the post, time delay etc. For social media follow buttons, it can show your current followers. 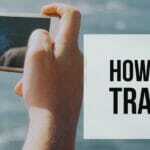 It can fetch the followers data automatically wherever it is possible. You just need to setup API or network access in the settings panel. This is a good way to show your social authority to your visitors. One other thing which you get is access to analytics. It keeps an engagement matrix which tells which social networks are getting the shares or how each post is performing. The plugin can also keep track of number to tweets for your blog and store it in its analytics segment. I use Social Warfare Plugin for MetaBlogue but I own the Monarch plugin also and use it on my other sites. If you want to know the exact difference, I have done a detailed post about the comparison of Social Warfare vs Monarch. Bloom takes care of another basic need for any website – Email Marketing. It comes with premade email marketing templates which allows you to easily design your email subscription forms. You can also target specific events to showcase the email subscription box. You have complete control over the colors, design, and fields for the email subscription form. Just tailor them to match your site layout and color palette. Once your forms are set up, you can access the analytics to check the performance of each form. Multiple emails provider are supported, so just add your account and start collecting leads. I will be doing a detailed review of the email marketing capabilities of Bloom in the upcoming week. So watch for that if you are interested. All the themes from Elegant Themes come with inbuilt Shortcodes. These shortcodes allow you to create buttons, boxes, pricing tables, Learn More Boxes, Tabs or Author Bio Boxes. All the layouts are responsive in design so you can use them freely on your site without worrying about breaking aesthetics. If you just want the shortcodes without installing any of the themes, you can use the Shortcode plugin. Just download from the member area and install it through WordPress dashboard. Your WordPress editor will have new buttons to incorporate these shortcodes. Let me start this by saying that I do not like the yearly recurring costs for products. Though it might sound manageable for a single product, it keeps getting accumulated based on a number of products you buy. So for a single blog, slowly it might become a significant expense. Whenever you commit to a product which has a recurring cost, make sure that you absolutely need it. Otherwise, it’s better to buy another product. Elegant Themes comes with a yearly renewable plan, so its a yearly cost associated with your blog. Though it offers multiple products as part of its membership like 87 WordPress Themes, Divi Builder, Monarch and Bloom WordPress Plugin etc. It also has a lifetime license option which allows you to buy it for a lifetime with a single payment. As any other lifetime license, its cost is almost 3 times the yearly costs. So in other words, if you keep the membership active for more than 3 years, it’s better to get a lifetime license. I would always suggest buying the membership plan. Elegant Themes allows you to upgrade your license any time as long as your current license is active. This means, that within one year, you can upgrade your license by paying the differential amount. This gives you a good opportunity to test the themes and make sure it suits your needs. If you find it comfortable, go ahead and upgrade your plan to a lifetime license.